Kick it into high gear. 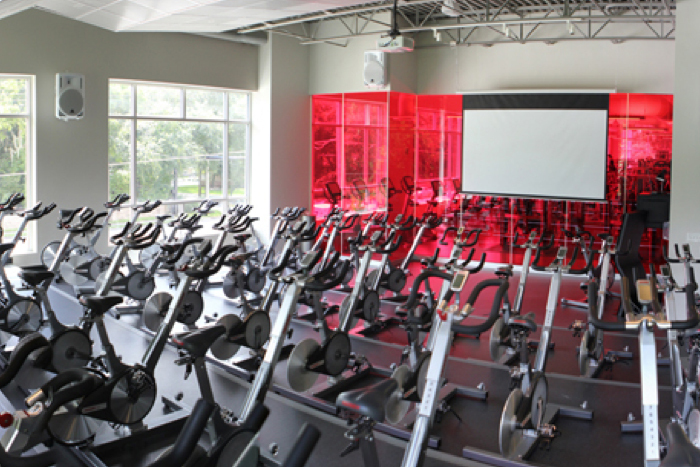 Located on the second floor of GHF Main, our Sky Cycle studio offers a unique experience you will not find anywhere else. The coolest indoor cycling studio in the Southeast. Featuring stadium seating, 50 bikes, My Ride technology, and a state of the art video projection and sound system that takes you on rides around the world. 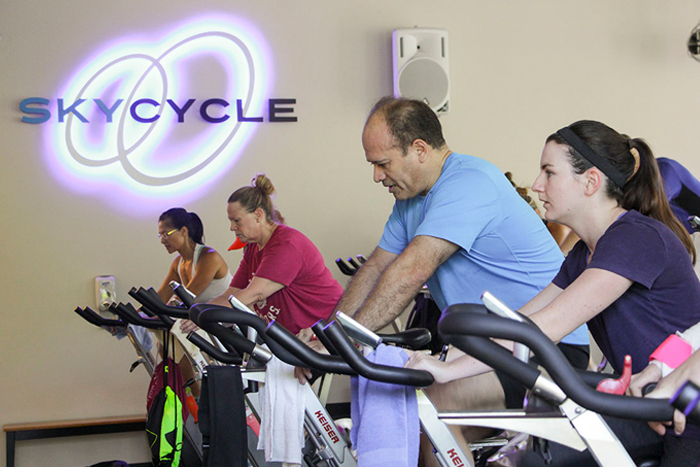 More classes, more teachers, and more variety than any other cycle studio. Experience a fast-paced, low impact cardio workout with the best teachers who can accommodate beginners and experienced riders. We offer a “training wheels” class for newbies that teaches you about the bike along with a shorter ride (first Saturday of each month). 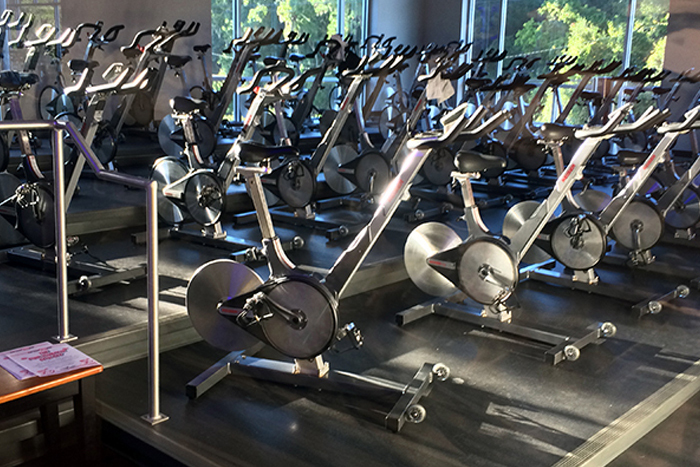 There is no extra charge for cycle classes, they are included in every GHF membership.